First, I welcome you back after something of a long period during which the EdTalkNZ voice has been quiet. Troubles with the site led to a somewhat lengthy delay but the site has been rebuilt and EdTalkNZ is back in business! When ideology comes through the door, ideas fly out the window. I have often said that the danger in the current review of NCEA is that the enthusiasm of these kinds of moments could lead to a conclusion that rather than seeing the baby being thrown out with the bathwater we see the bath being thrown out. It was therefore heartening to see the Principal of Diocesan School for Girls in Auckland, Heather McRae, making a strong plea and case for the retention of NCEA substantially in the form that it is. “As a private school some of these issues [i.e. 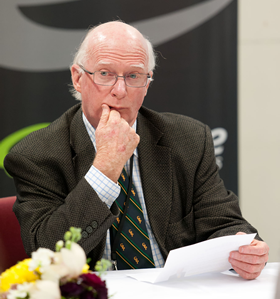 a wide range of other concerns expressed by Auckland Principals related to issues other than NCEA] are less impactful….. We do, however, want to see NCEA continue to be an outstanding qualification and one that has international credibility. WE believe that small adjustments may well make improvements, but wholesale restructuring of a number of systems simultaneously over a short time is perilous and uninformed. This is strong support for a calmer response to the NCEA Review which seems to have in it an assumption that it must change. What happened to Voltaire’s wise caution that “When it’s not necessary to change, it is necessary not to change.” The case for change has simply not yet been put and the carefully managed consultation processes are unlikely to emerge with it. The full-page paid advertisement in the national press from a subset of school principals in Auckland included the group pf principals who have tried to kill NCEA from as along ago as the consultation processes pre-dating its introduction in the early 1990s. They simply didn’t want it for their schools so they set about introducing an overseas examination and as appropriate engaged more with the International Baccalaureate programme. Good on them. They have a right to manage their schools as they see fit. But that does not confer a right for them to suggest nor even to know what is best for other schools. Take one simple example. Few of the signatories would have foreseen that the introduction in 2010 of secondary / tertiary programmes into the options for schools to consider would become a resounding success. These opportunities to study subjects more typically thought of as tertiary study has been taken up by hundreds of students not at the expense of the secondary school programme but as an embellishment to it that often re-engages with education, creates lines of sight to possible career options and, above all, through applied learning admits them to ways of learning that are more accessible than those the conventional academic track has been able to open up to them. This could not have been possible without the NCEA credit approach and structure. And over 70,000 students have benefitted from the introduction of secondary / tertiary programmes since 2009. Yes, there are areas where some attention would produce change – the record of learning could be both enlarged in scope to include soft skills, reduced in bulk in its reporting of achievements and reordered to highlight areas of strength rather than the chronological accrual of credit that currently is overwhelming to many in the community including employers. But! NCEA is a critical tool in restoring the capability of the NZ education system to fulfil the promise of opportunity and pathways for young New Zealanders. The distortion of the standards based approach. What happened to Vocational Pathways? What are pathways and how are they achieved? Managed transitions or fall through the gaps? ….. and perhaps more, after all the NCEA conversation is really only starting!